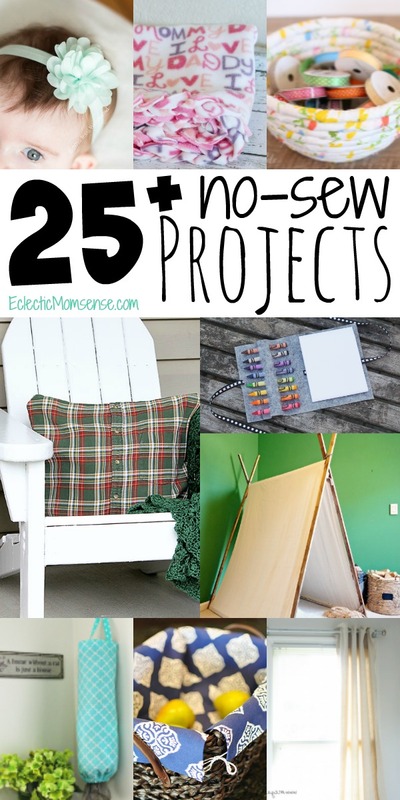 25+ project ideas that require no-sewing skills at all. Try these fun no-sew projects to spice up your home and give memorable gifts. Whether you can sew or not, sometimes you want to make a simple project that doesn’t require dragging the sewing machine out. These projects are easily created with simple supplies like: hot glue, scissors, and fusible interface. There’s something for everyone from home decor projects to gifts for baby, kids, and special people in your life. Sewing machine or not there is still a lot you can accomplish with fabric!